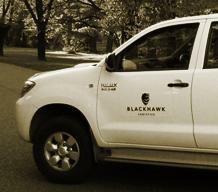 Blackhawk Logistics offers a new level of service when it comes to cheap special occasion equipment hire in Canberra. We are the people working behind the scenes to make your business a success. It's the attention we give to the small details that create great results for our clients. 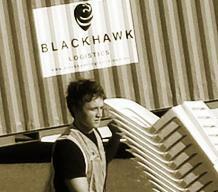 Blackhawk Logistics is a leading outsourcing business; the company's strong reputation is based on a solid foundation of skills and expertise as well as a unique service culture developed from our experience in facility and logistic-management services. We offer services in function hire and special occasion hire to Canberra businesses, individuals, and government departments. This includes cheap wedding equipment hire, including the short-term and long-term rental of everything from furniture, marquees and heating to linen, cutlery and glassware. We also have professional security capabilities – including mobile patrols, crowd control and controlling facility access – as well as reliable transport and warehousing services. Our knowledge and experience of the industry means the Blackhawk Logistics team can cater for a variety of different functions and events, from small private parties to large corporate events with our cheap conference equipment hire. Blackhawk Logistics fosters long-term partnerships with our clients, ensuring they benefit from our experience. Our services continue to expand through increased product development and opportunities to integrate multi-services. Whether you require wedding equipment for a small ceremony, or cheap exhibition equipment hire for a large-scale event in Canberra – we can offer you quality equipment, storage and transport facilities, and friendly, expert staff. The reliability, professionalism and efficiency of our contracted services in event hire, security, transport and warehousing, enable our clients to focus on their core business while we ensure their event runs smoothly. 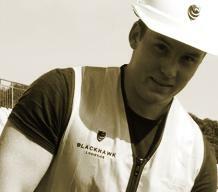 In order to view information on Blackhawk Event Hire, please click here.